The Twins have been fishing very well this week with lots of anglers reporting lots of pan sized fish, both rainbows and browns, and Lower Twin also kicked out an 11 pound rainbow that was tagged with a Bridgeport Fish Enhancement tag!! Bait anglers are using pinched crawlers, power bait, mice tails and night crawlers, lure anglers are going with kastmasters, rapalas and thomas bouyants. Fly anglers are having success with olive matukas, twin lakes specials and seal buggers. Hunewill Pond: Pond has Been Fishing Excellent! Bridgeport Reservoir: Ups and Downs! 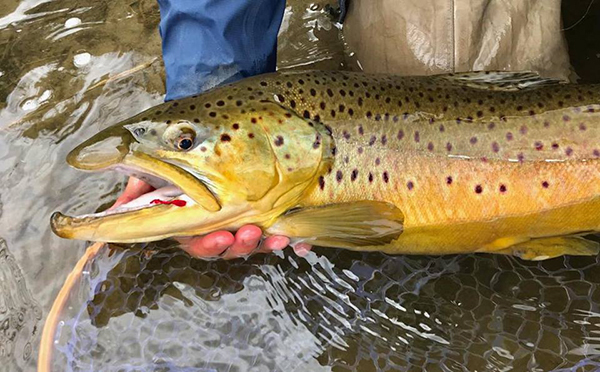 Walker River - West Fork (CA): Fish in the Pickel Meadows Area! Virginia Lakes: Mostly Ice Free!